Spiral welded steel pipe is used throughout the world in a wide variety of applications including water and sewerage transmission, outfalls, hydro generation and irrigation schemes. 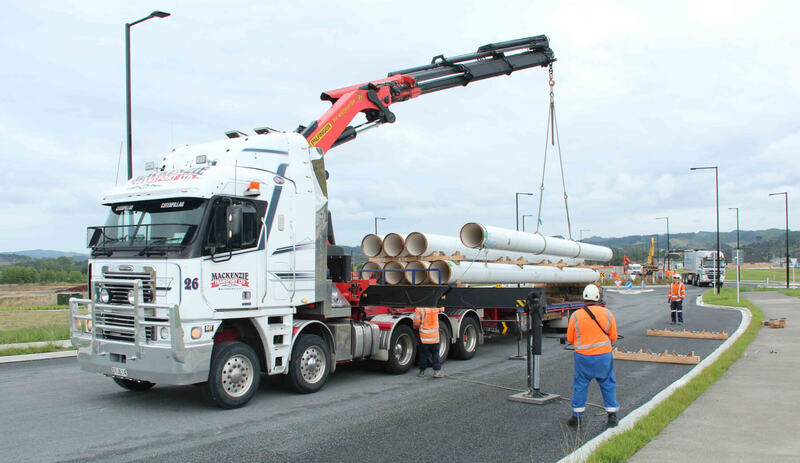 Steelpipe concrete lined steel (CLS) water pipe is used across New Zealand and the Pacific for its inherent toughness, high quality welding and testing, flexibility, versatility, safety in service, dependability and cost-effectiveness. Spiral welded steel pipe offers numerous advantages over conventional pipe, as detailed below. Spiral welded steel pipe offers greater strength in proportion to wall thickness of any competitive product. It operates safely at higher pressures and its strength provides distinct handling and laying advantages in difficult locations. The weld is significantly less affected by circumferential stress than alternative products. Recent major advances in steel fabricating, welding techniques and coatings development ensure the useful life of the product and, once installed, it can be depended upon to do the job for which it was designed. Ease of laying due to longer pipe lengths, which means less jointing; welded joints provide a pipeline that acts as a structural member. Flexibility of product permits it to “live in the ground” secure against soil movement or abnormal shocks. Accuracy of manufacture means an exceptionally straight and circular product. This represents significant advantages when matching pipes and promotes ease of driving for pile purposes. The consistent circularity also produces advantages when jointing in the field and contributes to ease of splicing. Versatility of the spiral forming process enables a wide range of diameters to be manufactured from one common feed stock, which encourages price competitiveness. A range of coating and lining options are available to best suit the water or waste water design.